This is a very simple teacher gift idea that is so sweet and anyone can make it no matter your level of craftiness! 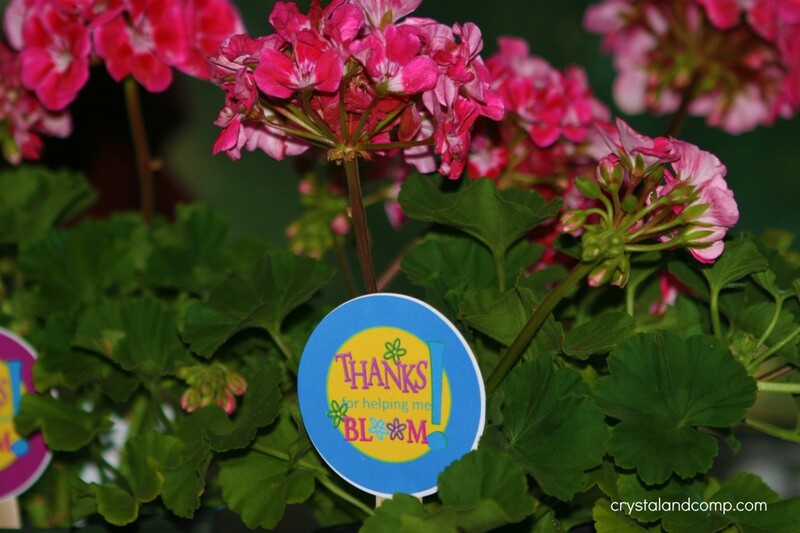 Everyone loves to receive a beautiful plant and this is a gift your teacher can take home and plant in her flower bed and be reminded of the successful school year all summer long. We have a local garden shop here in our town that has a nice arrangement of flowers and plants that were perfect for this project. You can spend as little or as much as your budget allows for a gift like this. These Geraniums were only $5 each. Another nice option would be a hanging basket or even a flat of small flowers like marigolds. Print the sheet of bloom circles. Use scissors or a 3 inch circle cutter to cut them out. There are five circles per page and each one is a different color giving you lots of variety to match them to your flower pot if you like. 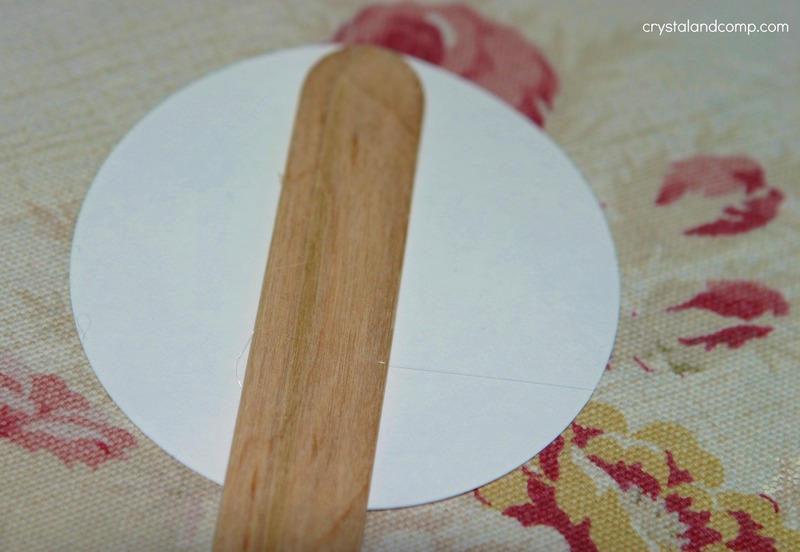 Take a large wooden popsicle stick and hot glue it to the back of the bloom circle cut out. Insert the stick into the soil of the flower pot. 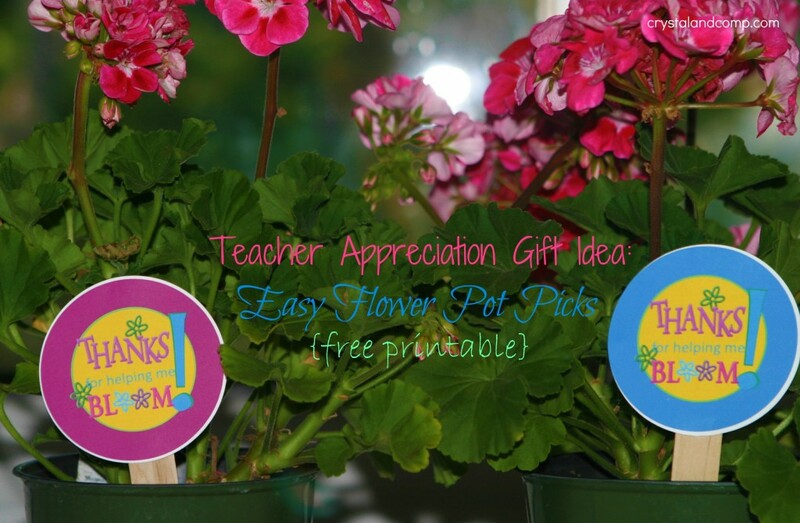 Easy and lovely teacher gift. 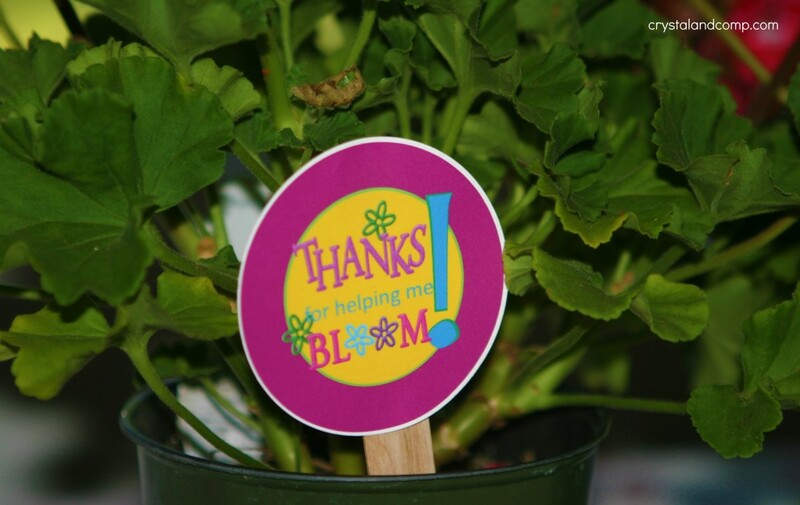 For more teacher appreciation ideas, check out all of my teacher gift ideas and free printables. Kelli Miller (@momof3boys3702) recently posted..Digital Photo Magazine only $5.29 per year! A scalloped cutter would be precious too! You kid’s teachers are totally scoring w/ all the fun gifts. Tara- we’ve had lots of thank yous and smiles from the teachers. We’ve had fun making and giving.